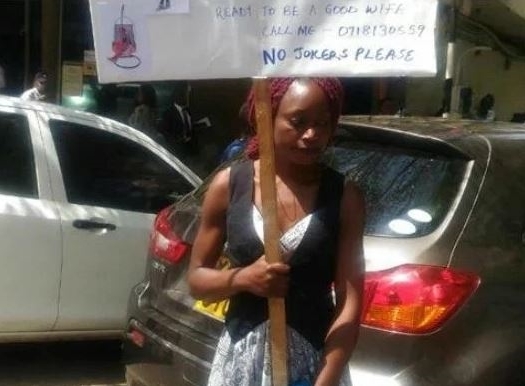 A 27-year-old lady identified as Cate Gachara, who is a single mother-of-three from Kenya and probably fed up of being disappointed by black men in her country, boldly stormed the streets in search of a white husband. 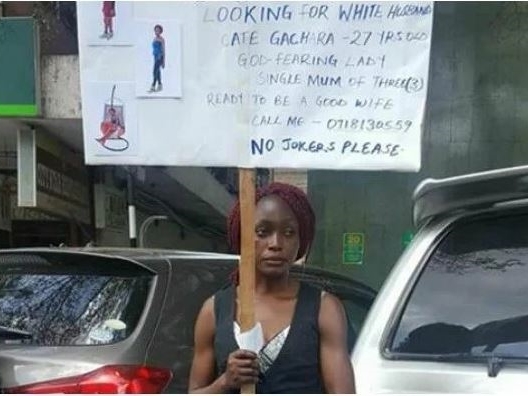 The frustrated single mother who took to the busy city of Nairobi to announce that she's looking for a white husband, was seen with a placard displaying her personal details, including phone number and photos of children she had in past relationships. The bold lady said she's ready to be a God-fearing wife to any potential husband who must be a white man.